Admission: $12 or with Festival Pass. 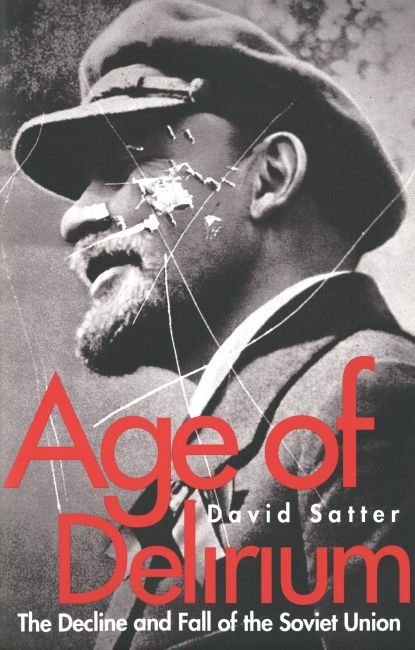 This is the story of the fall of the Soviet Union as lived and experienced by the Soviet people. The film shows what it meant to construct an entire state on the basis of a false idea and how truthful information led to the Soviet Union's rapid and unstoppable collapse. Age of Delirium tells the story of Alexander Shatravka, who crossed the Soviet - Finnish border only to be handed back by the Finns and tortured in a mental hospital; of Nina Smirnova, a crippled girl who prayed for relief at a religious shrine and began to be persecuted by the communist authorities after she was miraculously cured; and of the young men of the city of Shadrinsk who believed in the Soviet ideology only to learn the reality of the Soviet system while fighting in Afghanistan. Other characters include Ludvikas Simutis, who fought for the independence of Lithuania after the murder of his father, Olexandra Ovdjuk, an elderly survivor of the horrific Ukrainian famine, and many others. In the end, the film illuminates the workings of an ideological society, the very type of society that would be most likely to use weapons of mass destruction. 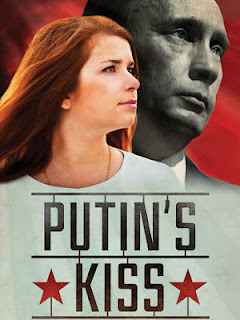 It shows how such a society creates its own fictitious 'reality' and it gives insight into the state of Russian today where the neo-Soviet leaders have again plunged the country into a moral abyss. "Spellbinding. . . . Gives one a visceral feel for what it was like to be trapped by the communist system." 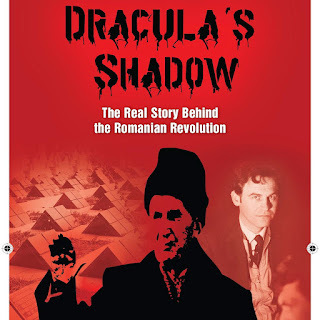 With exclusive access, and for the first time ever, the secret mission that sparked the Romanian Revolution in December of 1989 against dictator Nicolae Ceausescu is revealed. This documentary is the chilling Cold War account about what actually started the bloody uprising on December 15, 1989, when supporters of the Protestant Minister László Tokés in Timisoara rallied around his church to protect him from eviction by the military and by the Romanian Secret Police, the Securitate. Winner at the Hungarian Film Week. 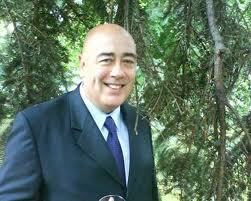 Speaker: Arpad Szoczi, author of "Timisoara - The Real Story Behind the Romanian Revolution". Freedom's Fury is the critically acclaimed feature documentary about the Hungarian Revolution of 1956 and the "Bloodiest Game in Olympic History." 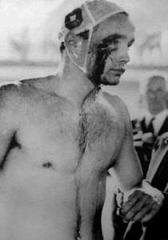 In this powerful film, the story is finally told about the fateful moment of 1956 when Hungary explodes in a people's power revolt and climaxes with the infamous water polo showdown between Hungary and the Soviet Union at the Melbourne Olympics. Now known as the "Blood in the Water Match" the documentary follows the heart-wrenching journey of the Hungarian Olympic water polo team and its young star, Eervin Zador, who find themselves the unwitting focal point of the most politicized sports match every played. 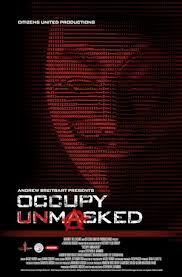 "This film should be required viewing. Truly enthralling." Don't miss this upcoming presentation by acclaimed American author Bruce Bawer on his latest book. For more information on our festival, please visit our website. Some Amazing Speakers Coming to Ottawa for the Festival! 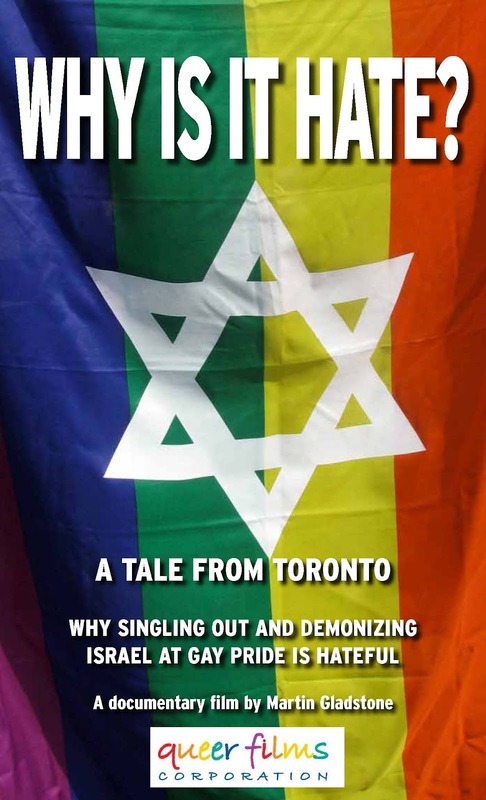 Martin Gladstone, Producer of "Why Is It Hate", a documentary about how Queers Against Israeli Apartheid bring a message of hate to Toronto Gay Pride. Yariv Mozer, Director of "The Invisible Men", a documentary about the plight of gay Palestinians who have run away from their families and are hiding in Israel. CANADIAN PREMIERE. Greg Autry, Author of the book, "Death By China" will be here to talk about his new documentary of the same name. CANADIAN PREMIERE. 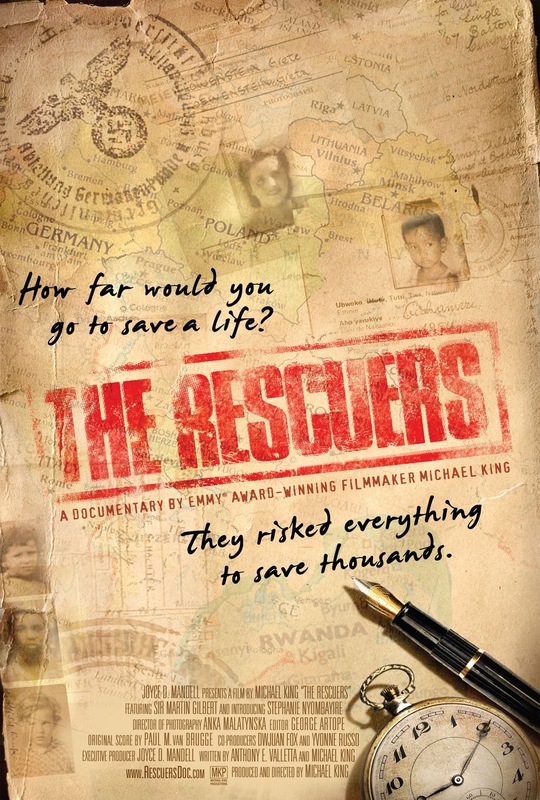 Michael King, Producer of the film "The Rescuers" in which historian Martin Gilbert teams up with a survivor of the Rwandan genocide to interview diplomats who saved Jews during the Holocaust. Pierre Desrochers, Professor at the University of Toronto, will be presenting on his two new books: "The Locavore's Dilemma: In Praise of the 10,000 mile Diet" and "Silent Spring at 60: The False Crises of Rachel Carson". 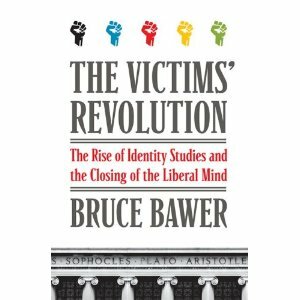 Bruce Bawer, acclaimed American Author, will be in Ottawa to launch his new book: "The Victim's Revolution: The Rise of Identity Politics and the Closing of the Liberal Mind." 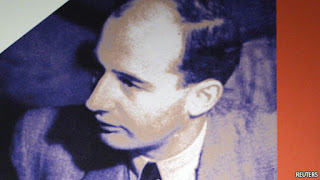 David Matas, attorney for the B'nai Brith and Human Rights Activist, will be presenting the latest research on the fate of diplomat Raoul Wallenberg - the Swedish diplomat who saved thousands of Jews during the Holocaust in Hungary. Clayton Garrett, Producer of 21 Brothers, a Canadian film about life in the trenches during WW1. Shot in Kingston, Ontario. Marc Lebuis, author of the website pointdebasculecanada.ca will be in Ottawa to present on the Muslim Brotherhood in Canada. In one of the bravest films in recent memory, director Mads Brügger and Danish-Korean comedians Simon Jul Jørgensen and Jacob Nossell risk their lives traveling to North Korea to tweak/punk that nation's tyrannical communist regime. Ostensibly visiting North Korea for the purpose of putting on a Danish socialist comedy show as an ‘inter-cultural exchange,’ the filmmakers' true purpose is to document the censorship and inhumanity of the North Korean government. Referring to the communist dictatorship as “the most heartless and brutal totalitarian state ever created,” Brügger and his comedians repeatedly make fools of the authorities in this blackly satirical, poignant and insightful documentary. 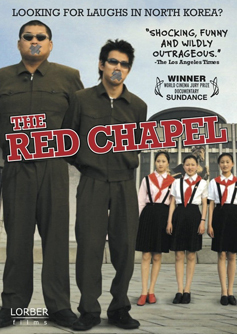 All the more relevant after the demise of Kim Jong Il, The Red Chapel follows on the heels of North Korea-themed films like Kimjongilia, Yodok Stories, and The Juche Idea in illustrating how the cinema can advocate for freedom by exposing tyranny. "Shocking, funny and wildly outrageous." 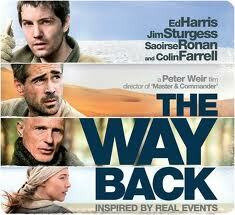 Starring Ed Harris, Colin Farrell, Jim Sturgess, and Saoirse Ronan and directed by Peter Weir, this epic and moving film based on real events tells the story of a group of Polish, American, and Russian political prisoners who escaped from a brutal Soviet gulag in 1941 and walked 4000 miles from Siberia to India and freedom. An extraordinary paean to liberty, The Way Back's courageous protagonists repeatedly affirm their willingness to die in freedom rather than live out their lives in the slavery of Soviet communism. The film's concluding montage depicting the events of the Cold War is a long overdue acknowledgment from Hollywood of how the fall of European communism freed millions of Poles, Czechs, Russians, and Eastern Europeans. "Epic, bold filmmaking at its very best"
From the award-winning director of “Tibet: Beyond Fear”, Free China: The Courage to Believe examines the widespread human rights violations in China through the remarkable and uplifting stories of Jennifer Zeng, a mother and former Communist Party member and Dr. Charles Lee, a Chinese American businessman, who along with hundreds of thousands of peaceful citizens are imprisoned and tortured for their spiritual beliefs. Greg Autry, co-Author of Death By China has written a review of Free China. Like Mr. Pearlman’s other work, Tibet: Beyond Fear, this film is beautifully shot and edited. Zeng and Lee are genuine and powerful. Additionally, two of the West’s great voices for human dignity, Canada’s David Kilgour and American Congressman Chris Smith, offer poignant contributions. 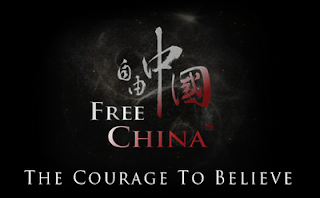 Free China is a compelling and heart-wrenching look at a human tragedy in progress that America continues to ignore only at our own peril. Please see this film and share it with as many others as you can. 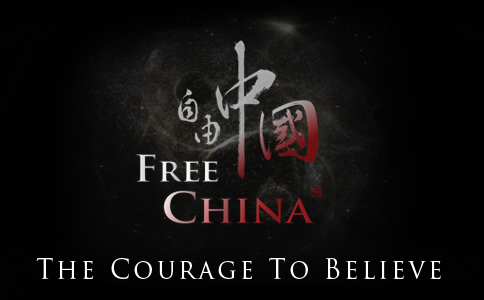 Free China should give Americans the courage to stand with the bravest of the Chinese people so that China may reassume its place as a great and civilized nation. John Bouman -- President and Advocacy Director of the Sargent Shriver National Center on Poverty Law. Here is the trailer for the entire film festival. Admission: $20 or with Festival Pass. Private reception after film. Admission: $20 or with Festival Pass. Reception after Film. The life of Heda Margolius Kovály was so fraught with bad luck that it seems scripted. 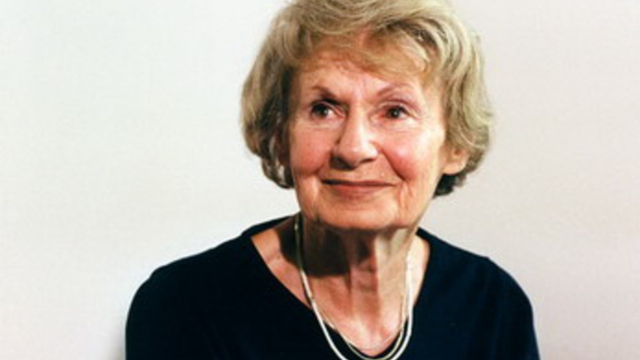 Born in Prague into a Jewish family, she married lawyer Rudolph Margolius, but both were soon deported to the Lódz ghetto and then to Auschwitz, where they were separated. They miraculously survived, only to fall into the hands of Stalinism. Treštíková illustrates Heda’s painful account with rare archives, giving heft to the old woman’s words. 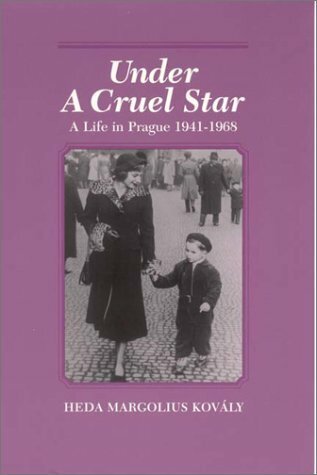 Behind the individual story looms 20th-century European history and its totalitarian regimes. Here is the trailer to our entire festival. This American film looks at the everyday issues of stress, family, struggle and suffering that families experience when they are put through the detrimental maneuvers of the family court system. 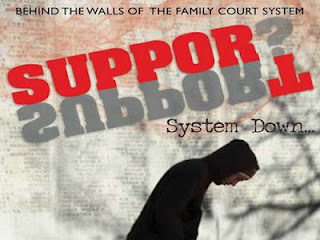 This shocking documentary shows how fathers are forced to pay exorbitant amounts of money for child support and how many fathers lose access to their children. Wind power: it's green; it's good; it reduces our dependency on foreign oil. That's what the people of Meredith in upstate New York first thought when a wind developer looked to supplement this farm town's failing economy with a farm of their own - that of 40 industrial wind turbines. Attracted at first to the financial incentives, residents grow increasingly alarmed as they discover side effects they never dreamed of, as well as the potential for disturbing financial scams. With wind development growing rapidly at 39% annually in the U.S., Windfall is an eye-opener for anyone concerned about the future of renewable energy. 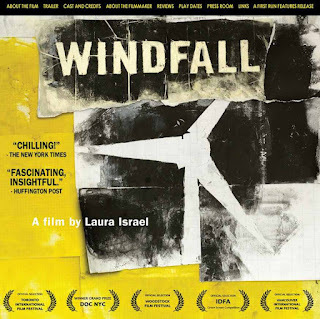 "Windfall" is thoroughly engaging, educational and entertaining..."
And, here is the trailer for the entire festival. Admission: $12 or with Festival Pass. Part of a double feature with "Why Is It Hate?" Tells the untold story of persecuted gay Palestinian who have run away from their families and are now hiding illegally in Tel Aviv. Their stories will be told through the film's heroes: Louie, 32 years old, a gay Palestinian who has been hiding in Tel Aviv for the past 8 years; Abdu, 24 years old, who was exposed as gay in Ramallah and then accused of espionage and tortured by Palestinian security forces; Faris, 23 years old, who escaped to Tel Aviv from the West Bank after his family tried to kill him. Their only chance for survival -- to seek asylum outside Israel and Palestine and leave their homelands forever behind. Admission: $12 or with Festival Pass. 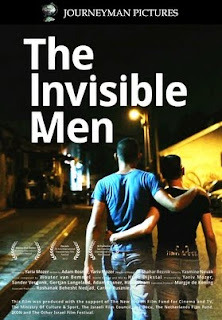 This film is part of a double feature with "The Invisible Men" about the plight of gay Palestinians. Producer Martin Gladstone will be in attendance to answer questions. 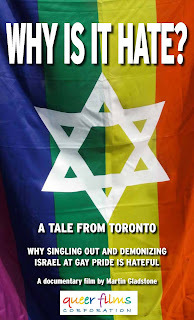 An examination of Queers Against Israeli Apartheid and why they bring a message of hate to Toronto’s Gay Pride March. This film tells the story of Canada’s 21st battalion as they prepare for the Battle of Flers-Courcelette on 15th September, 1916. This World War I drama has been inspired by actual events and takes place in real time. 21 Brothers follows Sgt. Reid as he gets his platoon ready in the final 90 minutes before all “hit the bags”. Not only must he prep the platoon but he is forced to deal with all the difficulties of daily life in trench on the Western Front. 21 Brothers is the longest film shot in a single take. Shot in April 2011 on location in Kingston, Ontario. "A riveting story about contemporary Russia's dark side." And, here is the trailer for our film festival. Don't miss the Canadian Premiere of this important film! Part of the 3rd Annual Free Thinking Film Festival 2012. Film + Author Greg Autry for Q&A. Private reception after the event. 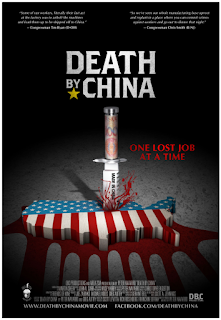 Death by China is a new film based on the book by Peter Navarro and Greg Autry which challenges the dominant paradigm of a “Chinese Miracle” – the one featuring a modernizing, progressive Chinese state heading toward political reform and driving global economic growth with its new found embrace of capitalism and freedom. Tearing this delusion away, Death by China documents the myriad ways that a powerful, wealthy, and corrupt Chinese Communist Party emboldened by a growing nationalistic frenzy is becoming the biggest threat to global peace, prosperity, and health since Nazi Germany. Speaker: Greg Autry, author of “Death by China”. Festival Passes are now available from the following locations: Compact Music (785 Bank, 190 Bank), Collected Works (1242 Wellington), and Ottawa Festivals (47 William). 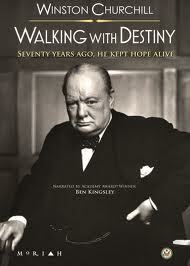 This documentary explores the triumph of the human spirit. Israelis, surrounded by enemies, have turned a desert with hardly any natural resources into a flourishing and productive society. Hosted by former Harvard lecturer, Dr. Tal ben Shahar, the film examines the core character strengths that have made this dream possible. Hosted by former Harvard lecturer Dr. Tal ben Shahar, the film examines the core character strengths that have made this dream possible. 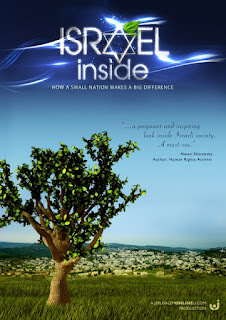 "....a poignant and inspiring look inside Israeli society. A must-see." 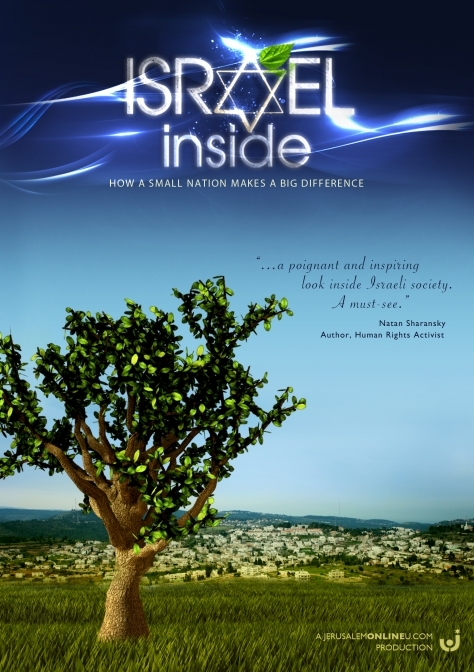 "It does no persuading, arguing or advocacy whatsoever...it's an emotional inspiring look at what accounts for Israel's success." Festival passes are now available at the following locations: Compact Music (785 Bank, 190 Bank), Collected Works (1242 Wellington), and Ottawa Festivals (47 William). Send this link out to your friends! And, please visit Ottawa November 1-4th for the 3rd Annual Free Thinking Film Festival. "... armed with inspiration...handsomely produced"
Admission: $12 ($8 for students) or with Festival Pass. Festival Passes are now on sale at the following locations: Compact Music (785 Bank, 190 Bank), Collected Works (1242 Wellington), and Ottawa Festivals (47 William). Don't miss this important event: Time to commemorate the 100th birthday of Raoul Wallenberg! The Free Thinking Film Society in association with B'nai Brith Canada is proud to present this important tribute to Raoul Wallenberg. Speaker: David Matas of the B'nai Brith will update us on the latest research on Raoul Wallenberg. Music: Floralove Katz will sing some songs from the Holocaust. Everybody is invited to a private reception after the film, speaker, Q&A and music. This is the extraordinary story of Raoul Wallenberg, the Swedish diplomat who saved thousands of Hungarian Jews during WW II, presented through the personal experiences of four Canadians: Susan Vadnay of Montreal, Dr. Erwin Koranyi of Ottawa, and Maria Gomori of Winnipeg, all of whom survived Budapest’s Jewish ghetto, and David Matas, a Winnipeg-based human rights lawyer. The riveting and heart-wrenching account of the 1974 Ma’alot Massacre, in which disguised terrorists took more than 100 students hostage in an Israeli school building. All the teachers escaped, leaving the helpless children to face the terrorists on their own. Their Eyes Were Dry documents the birth of terrorism against children and more importantly celebrates the courage and heroism of children around the world. 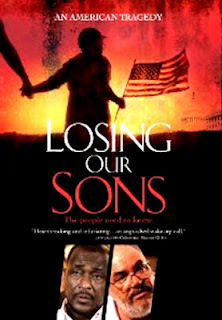 "Powerful....tells the story as no one has told it before." Festival Passes are now available from Compact Music (785 Bank, 190 Bank), Collected Works (1242 Wellington), and Ottawa Festivals (47 William). For more information, please visit our website..
We will also be showing our second self-produced documentary - this time on Environmental Lunacy. Every attendee who buys a copy of David's book will get a free DVD! Don't miss this incredible evening - we're going to have a lot of fun. "The science is settled" has become both a mantra for political activists who believe in man-made global warming and a club to beat down anyone who opposes their anti-industrial, anti-capitalism agenda. But is it true? This is the question that David Solway set out to answer in layman terms. His conclusion: the preponderance of evidence refutes the activist’s dogma. In Global Warning: The Trials of an Unsettled Science, Solway presents the “science” in a style suited to the average citizen who wants nothing more than to learn the truth. David Solway is the author of many books of poetry including Modern Marriage, which received the QSPELL Prize for Poetry; Franklin’s Passage, winner of Le Grand Prix du Livre de Montréal and Reaching for Clear, awarded the A.M. Klein Prize for Poetry. Among his prose publications, Education Lost won the QSPELL Prize for Nonfiction and Random Walkswas a finalist for Le Grand Prix du Livre de Montréal. A French translation of his writings on education, Le bon prof, was awarded Le Prix Spirale. He has also published two volumes on political subjects, The Big Lie: On Terror, Antisemitism, and Identity and Hear, O Israel!. 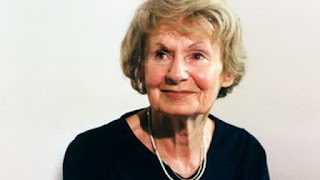 Solway’s work has appeared in journals and magazines such as The Atlantic Monthly; The Sewanee Review; PN Review (U.K.); Descant; Partisan Review; liberté; International Journal of Applied Semiotics; Policy Options: Institute on Research in Public Policy; and Journal of Modern Greek Studies. 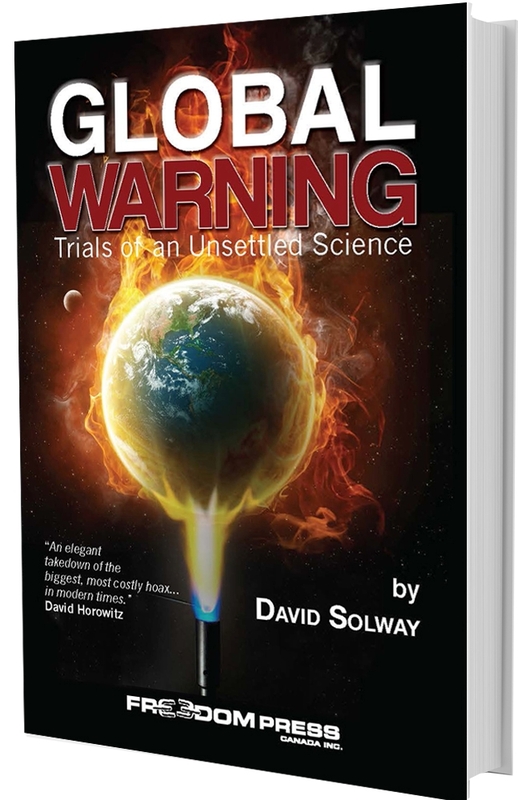 He is currently a regular contributor to FrontPage Magazine, Pajamas Media and Academic Questions in the U.S.
“Global Warning” is a devastating indictment of the claim that science has proven that climate change is caused by human activity. It is a must-read for policy-makers and voters alike." Joseph C. Ben-Ami, President of the Canadian Centre for Policy Studies. Private reception after film and Q&A with Producer Michael King. Bruce Bawer returns to Ottawa to present his latest book - part of the 3rd Annual Free Thinking Film Festival. An eye-opening critique of the identity-based revolution that has transformed American campuses and its effect on politics and society today. The 1960s and ’70s were a time of dramatic upheaval in American universities as a new generation of scholar-activists rejected traditional humanism in favor of a radical ideology that denied esthetic merit and objective truth. In The Victims’ Revolution, critic and scholar Bruce Bawer provides the first true history of this radical movement and a sweeping assessment of its intellectual and cultural fruits. Once, Bawer argues, the purpose of higher education had been to introduce students to the legacy of Western civilization—“the best that has been thought and said.” The new generation of radical educators sought instead to unmask the West as the perpetrator of global injustice. Age-old values of goodness, truth, and beauty were disparaged as mere weapons in an ongoing struggle of the powerful against the powerless. Shifting the focus of the humanities to the purported victims of Western colonialism, imperialism, and capitalism, the new politicized approach to the humanities gave rise to a series of identity-based programs, including Women’s Studies, Black Studies, Queer Studies, and Chicano Studies. As a result, the serious and objective study of human civilization and culture was replaced by “theoretical” approaches emphasizing group identity, victimhood, and lockstep “progressive” politics. What have the advocates of this new anti-Western ideology accomplished? Twenty-five years ago, Allan Bloom warned against the corruption of the humanities in The Closing of the American Mind. Bawer’s book presents compelling evidence that Bloom and other conservative critics were right to be alarmed. The Victims’ Revolution describes how the new identity-based disciplines came into being, examines their major proponents and texts, and trenchantly critiques their underlying premises. Bawer concludes that the influence of these programs has impoverished our thought, confused our politics, and filled the minds of their impressionable students with politically correct mush. Bawer’s book is must-reading for all those concerned not only about the declining quality of American higher education, but also about the fate of our society at large. Tickets will be available at the door or you can now buy festival passes at the following locations: Compact Music (785 Bank, 190 Bank), Collected Works (1242 Wellington), and Ottawa Festivals (47 William). Speaker: Greg Autry, author "Death By China." 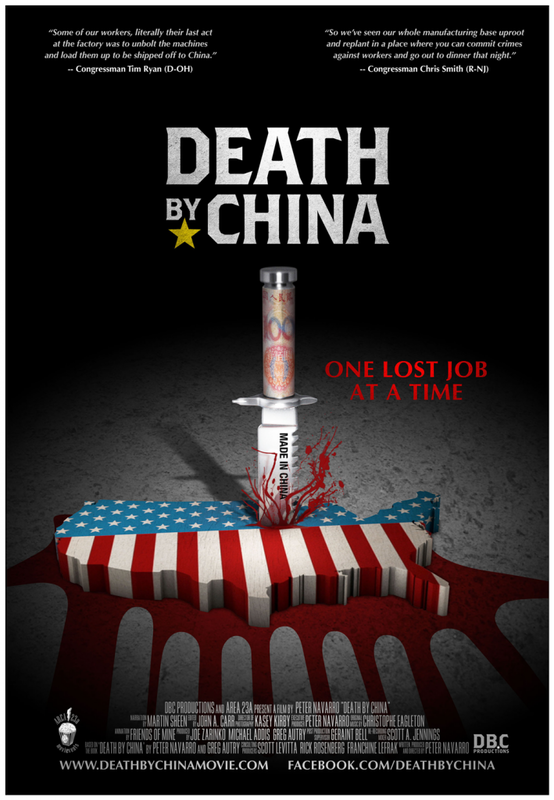 "A truly life-changing, mouth-dropping documentary film....Peter Navarro's "Death By China" grabs you by the throat and never lets go." You can see the complete lineup for the 3rd Annual Free Thinking Film Festival here. On November 1st, 2012, The Free Thinking Film Society kicks off its 3rd annual film festival to celebrate liberty, freedom and democracy. The Free Thinking Film Festival 2012 will feature four major events, four book launches, and over 20 films, between November 1-4th, 2012 at Library and Archives Canada. There will also be a Free Thinking Alley where attendees can buy books and DVDs, and enjoy food & drink. "I love celebrating liberty, freedom and democracy," says Free Thinking Film President Fred Litwin. "Get ready for four days of challenging films and discussions with absolutely no political correctness." 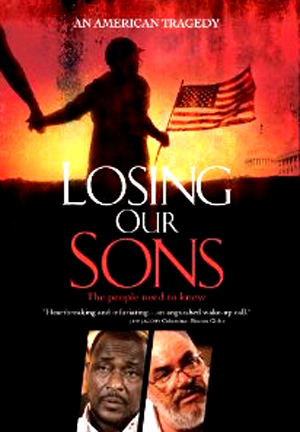 The Festival will feature four major events: On November 1st, the Festival will open with "Losing Our Sons", a poignant tale of two fathers who have lost their sons - one through terrorism, and one through indoctrination. On November 2nd, the Festival features the Canadian premiere of "Death by China", a film about the increasingly destructive economic trade practices of a rapidly rising China with author Greg Autry in attendance. 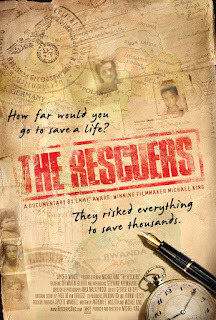 On Saturday, November 3rd, Producer Michael King will be on hand to introduce the film, "The Rescuers" about diplomats who saved Jews during the Holocaust, and the Festival will end with a tribute to Raoul Wallenberg - a celebration of his 100th birthday in association with B'nai Brith Canada. 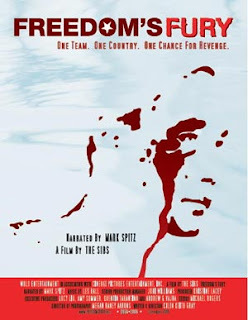 Other films include "The Invisible Men," about the plight of gay Palestinians; "Windfall," about the pitfalls of wind power; "Freedom's Fury," a look at the "blood in the water" water polo match between the Soviet Union and Hungary at the Olympics in 1956; "Their Eyes Were Dry," a film about the massacre of teenagers in Ma'alot in Israel by Palestinian terrorists in 1974; "Occupy Unmasked," a hard look at the Occupy movement; "21 Brothers," a Canadian film about World War I; "The Red Chapel," a comedy that exposes North Korea's totalitarian system; "Putin's Kiss", a documentary on the brutality of the Putin regime; "Winston Churchill: Walking With Destiny," examines why Winston Churchill's legacy continues to be relevant in the 21st Century; "Why Is It Hate?," Martin Gladstone's film on why Queers Against Israeli Apartheid bring a message of hate to Toronto's Gay Pride; and many, many other films. In addition, three authors will be in Ottawa to launch their books. Bruce Bawer, the acclaimed American author, will read from his new book, "The Victims Revolution: The Rise of Identity Studies and the Closing of the Liberal Mind;" Pierre Desrochers will present on two of his books: "The Locavore's Dilemma: In Praise of the 10,000-mile Diet", and "The False Crises of Rachel Carson: Silent Spring at 50", and Arpad Szoczi will present his book, "Timisoara - The Real Story Behind the Romanian Revolution." Festival passes are available for $75 and can be purchased either online or at the following retailers - Compact Music (785 Bank, 190 Bank), Collected Works (1242 Wellington), and Ottawa Festivals (47 William Street). Day passes will also be available for sale.